Preliminary covers for the first 3 books in the new series! Over the long (four-day) Easter weekend, I suddenly realised that I had no commitments. No horse shows to ride or judge at, no Pony Club rallies to organise, nothing that was going to stop me from sitting down all day and writing. So I decided to set myself a challenge. I was at the point where I’d finally finished Against the Clock after literally years of working on it. By my reckoning, I started the first draft in 2009…so April 2015 seemed like a ridiculous finishing point, although I was super glad that I had finished at last, and the beta readers were enjoying it very much. At this stage, the shortest time it had EVER taken me to write a complete novel was one year (for Dream On). So I decided to challenge that record, and see if I could write a short novel in 4 days. I set myself a 30,000 word goal, declared my ambition on Facebook so that I would be held accountable to it by friends and followers, logged onto Wattpad so that I could upload my progress in real time, and set to work. I posted the first four chapters on Good Friday, and another five on Saturday. On Sunday afternoon, I posted Chapter 12 – and that was the END. Admittedly, I didn’t quite make my word count goal – I think it finished out around 29,800 words. But I figure that’s close enough. One of the benefits of writing so fast on a holiday weekend was that as I uploaded each chapter, I got almost immediate feedback on it. People enjoyed it, chatted to me about it, shared it to their friends, and encouraged me to write more. I was able to do something fun and nice for people over Easter, and I discovered that I can write a LOT faster than I thought! Since then, several people have read the book as a complete novel in one hit, and all have enjoyed it (well, those who have let me know their thoughts have, anyway). It was a great exercise in free-flowing writing, just letting characters dictate the story without too much structure, letting it happen in ‘real time’. I had a basic idea of where I was going with the plot, I had a good idea of who the characters were and what their personalities and motivations would be. Some things surprised me, others didn’t. I followed my instincts with characters like Anders, AJ’s brother, who started out as a throwaway line and ended up being a fairly important part of the book. Knowing that I can write so quickly (and hopefully I can keep it up!) is hugely motivational. 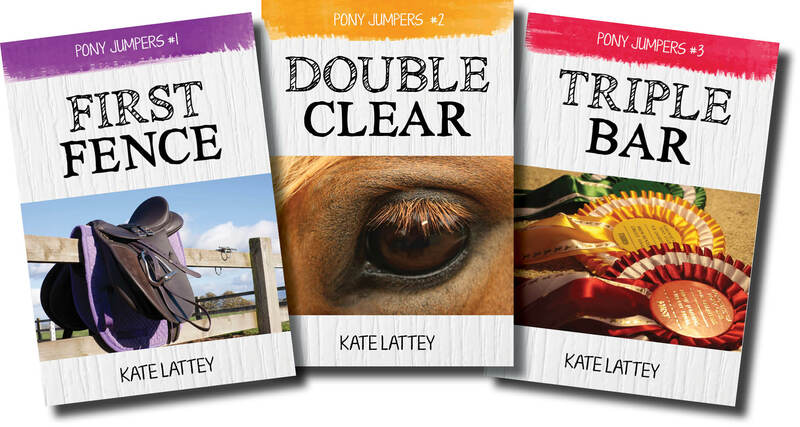 I have a full length novel in the works for this year, which I hope to have out by Christmas, but in the meantime I’m planning to get one of these Pony Jumper books written every month for the rest of the year. I have titles (if not quite story ideas) for up to 20 books in the series (yikes). I can’t wait to have time to write more of this series, I’m genuinely super excited for it!